Apparently these will be visible on the studio tour. From the studio that brought the #UniversalMonsters to life, watch out for this new Monsters mural on the Universal Studios back-lot by graffiti artist (*at*)TristanEaton. Coming soon! Time lapse video from the artist's, Tristan Eaton, Instagram page. Hey Mike, there's a Creature one too!! 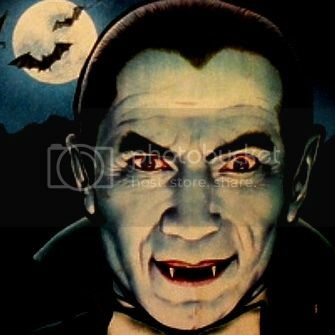 From the videos it is known that it will be Dracula, The Bride, Frankenstein, Creature from the Black Lagoon and The Wolf Man; one would hope that the Mummy is next to Dracula...to bad we won't get a Chaney Phantom. Those have to be the worlds largest paint-by-numbers! It should be quite an attention-grabber once finished. I only wish Universal had chosen their artist from a more respectable subculture. Great work by the artist but....no Mummy? And as usual a generic Dracula. And as usual a generic Dracula. The Wolfman doesn't look like Chaney, either. Wolf Man is generic too. These are still really cool, and both the Dracula and Wolf Man art is really well done. While it's obviously not a Chaney Jr. Wolf Man, I don't think it is generic one either; it looks like the 2010 Wolfman to me. I don't care for them at all. I would have much rather just seen some nice portraits with scenes surrounding them.